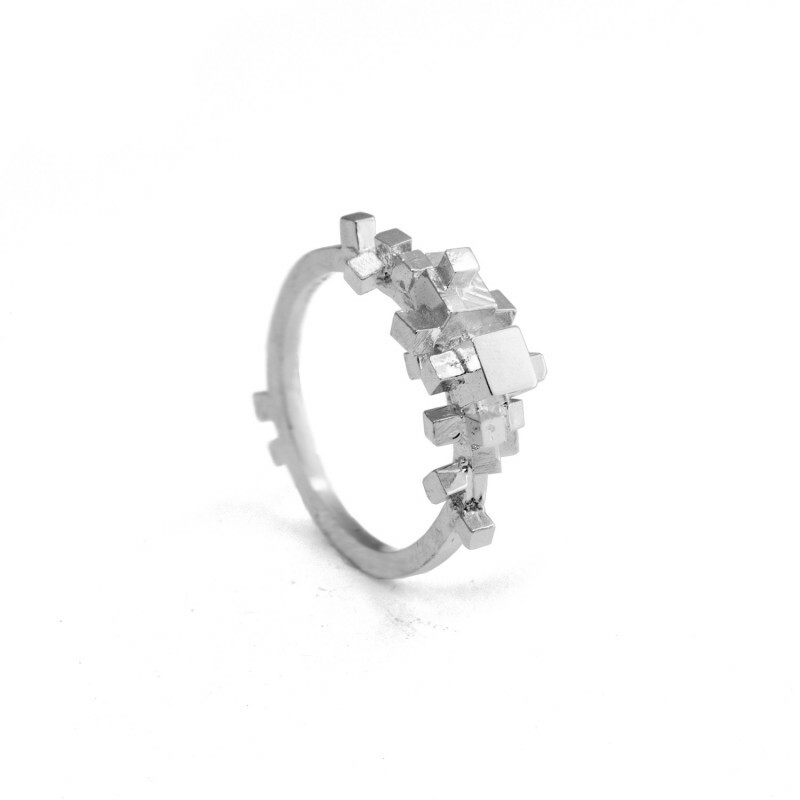 The Large Rubble Ring is a bold and contemporary ring available in Silver 925 or Rhodium Plate. Part of the built collection, these pieces are inspired by the mess and chaos of cities, from the layered and disordered architecture of Mexico City to the inimitable movement of a crowd at rush hour – the result is playful jewellery to be worn by the bold. Harriet Morris is a British jewellery designer-maker living and working in the central highlands of Mexico. 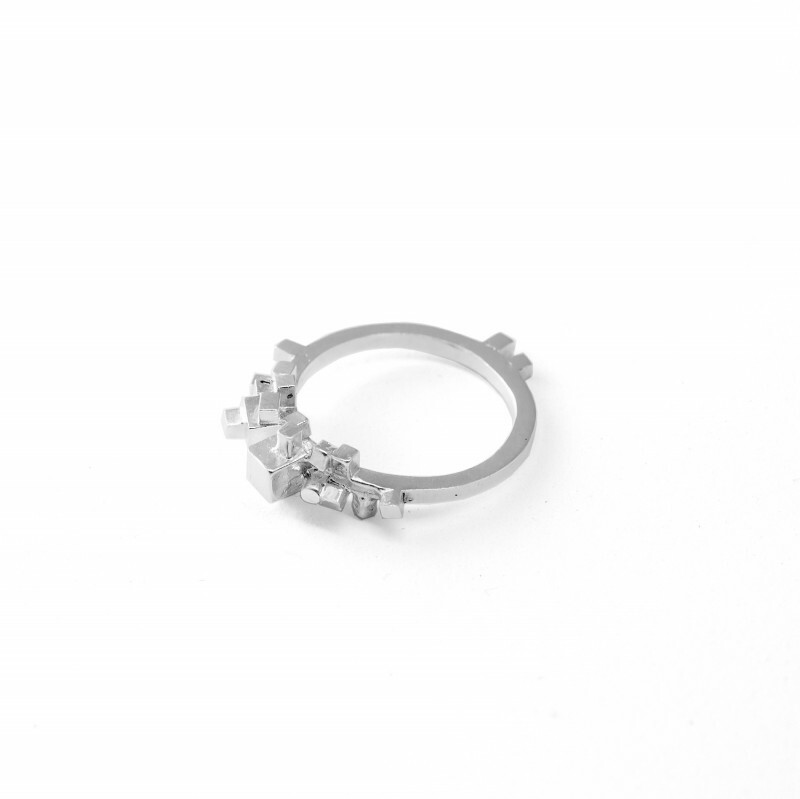 Inspired by the ‘disorder’ and ‘chaos’ of everyday life around her, she produces Responsible Jewellery pieces using locally sourced materials with the help of local artisans.